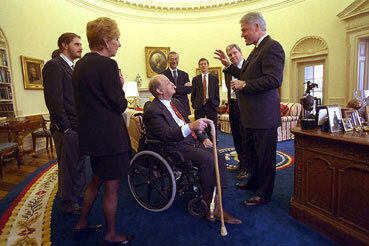 President Clinton and Joe Lockhart greet James Brady, Sarah Brady, and Scott Brady in the Oval Office before the Press Briefing Room dedication ceremony. 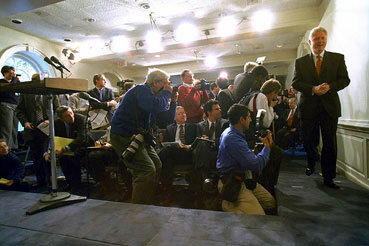 The President and Mr. Brady arriving for the dedication of the James S. Brady Press Briefing Room. 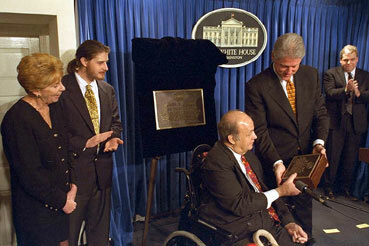 President Clinton presents James Brady with a replica of the plaque that will be hung permanently in the James S. Brady Press Briefing Room. 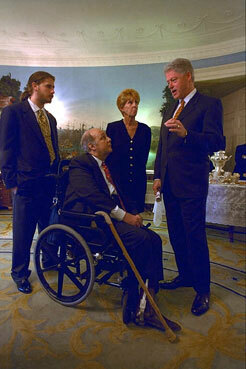 The President and the Brady family talk during a White House reception honoring James Brady.